In late July 2017, Woodside Energy (Myanmar), a wholly owned subsidiary of Woodside Petroleum Ltd, is understood to have suspended the gas-bearing Pyi Thit 1 wildcat after the well had been drilled to 4,725m and logged, with the well flowing 20 MMcfgpd on a 24/64” choke and 35 MMcfgpd on a 32/64” choke. Pyi Thit 1, which was spudded on June 8, 2017, is located in 2,000m of water in the 10,055 km2 Rakhine Offshore Basin Block A-6, offshore southwest Myanmar and was an appraisal for the Shwe Yee Htung 1 gas discovery, 6.6 km due north. It was targeting two gas-prone channel systems, analogous to Shwe Yee Htung 1, with up to seven other channel systems having been identified which may be explored further, providing significant follow-up potential. 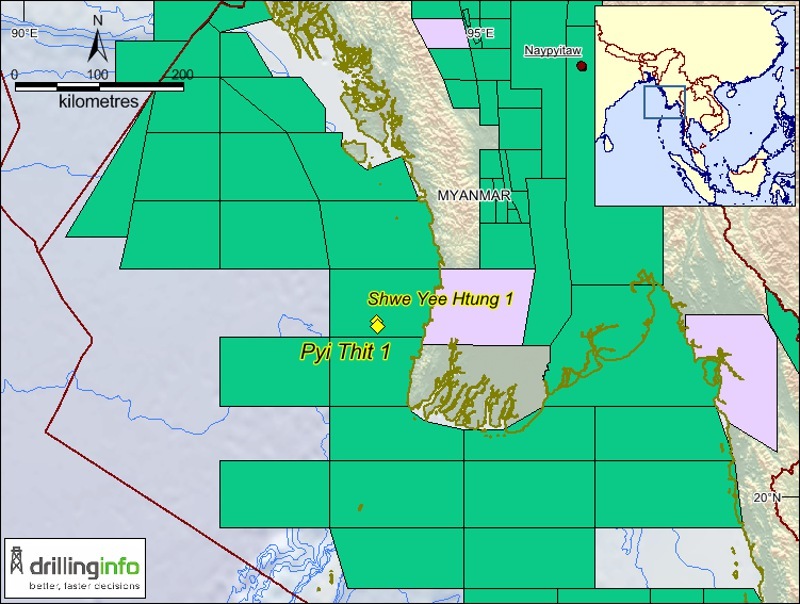 Shwe Yee Htung 1 was plugged and abandoned in early January 2016 after being drilled to 5,306m and in May 2016, Woodside announced that the best estimate (P50) contingent resource estimate (2C) of the field was 895 Bcfg. If proven economic, the development of the field will be fast-tracked and tied back to the neighboring Yadana Gas Processing facilities located in Block M-5, some 222 km south-east of the discovery. Equity in Block A-6 is split between Woodside (40%), MPRL (20%) and Total E&P Myanmar (40%). The past two years’ drilling in the UKCS has provided an average of over 800 MMboe (127 MMm<sup>3</sup>) in new or fallow appraised discoveries. There is good reasonto believe that this rate of potential reserves additions should continue.